What would you do if you could open a door that lead to a unique and unrivaled world where a mermaid, a princess and a fairy unite to save the magic kingdom? In this new Barbie movie, Alexa, the protagonist is a princess whose passion is reading, cause with the books can live incredible adventures; one day while walking through the woods is her castle, discovers a door that nobody had ever noticed before, a door which immediately surprises her and decides to open it. At that time Alexa enters a magical world that is exactly like the book she is reading, full of magical beings and never-before-seen surprises. A musical adventure begins here where evil is also present through Malucia evil, a bad ruler who wants to steal the magic of the earth. Alexa meets Romy and Nori, a mermaid and a fairy; and between the three of them, will unite to defeat Malucia. Alexa discover that she posses magical powers and in the company of her new friends will always achieve what they want. 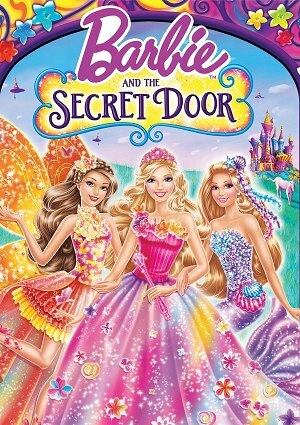 Join Barbie in this new adventure and also you enter the secret door. You will never forget this experience! !